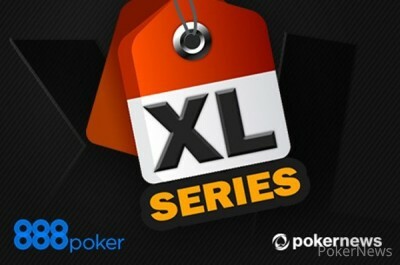 It took 888 player "trojanmouse" less than four hours of play to be crowned the Champion of Champions, as he overcame 17 other top contenders of the 2017 Super XL Series to win a World Series of Poker Main Event Package worth $12,500. Despite a starting stack of more than 150 big blinds, play was fast paced and aggressive from the start, and before the end of the second level "trojanmouse" had already earned himself a double knockout, when his kings held up against the queens and ace-five of his opponents. 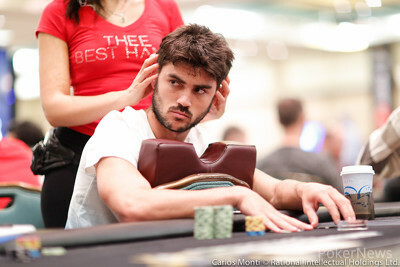 The final table was set in stone two hours into the tournament with Fabrizio "DrMiKee" Gonzalez holding the chiplead followed closely by Canada's "Mindcrushers". They were also the masterminds behind the two first knock-outs of the final table, as "Ti0373" and "Makuherra" was sent to the rail in 9th and 8th. Shortly after "GangstaGo"fell in a classic coin flip against "trojanmouse", before Gonzalez turned the nutflush to send Latvian "sally_os" to the rail in one of the biggest pots of the final table. "ScratchyR" was the next to go after running ace-king into the kings of "GoFighTer", leaving "trojanmouse" as the shortest stack with four players remaining. Within 20 minutes that picture was turned upside down, as "trojanmouse" doubled up no less than three times, before taking out Fabrizio "DrMiKee" Gonzalez in fourth by flopping a flush. 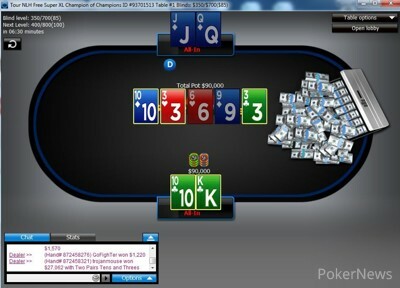 "Mindcrushers" was moments later eliminated in third - good for a $3,000 WSOP Crazy-8's Package. The heads up play was commenced with "trojanmouse" holding a 2:1 chiplead over his Belarusian opponent and the third place finisher of the 2017 Super XL Opening Event never let go of that lead. In the final hand of the night "GoFighTer" moved in with the queen-jack of diamonds, but despite picking up outs for a straight flush on the turn, it was not to be. Instead, his opponent's king-ten became two pairs as the river paired the board, and that was enough to secure the victory and the World Series of Poker Main Event Package for "trojanmouse". And just like that, the Champion of Champions Event was over. Belarusian "GoFighTer" moved all-in from the button with and was called by "trojanmouse" holding in the big blind. "Trojanmouse" got the best of it on the flop, but the turn gave his opponent a massive 20 outs to improve to the best hand. The river wouldn't do it, however, and thus "trojanmouse" becomes the Super XL Champion of Champions 2017. After losing the big hand to "trojanmouse" with queens, "Mindcrushers" never recovered, and was send packing shortly after the elimination of Fabrizio "DrMiKee" Gonzalez. The heads up battle is now underway between "trojanmouse" and "GoFighTer". The winner will take home a WSOP Main Event Package worth $12,500, while the runner up have to settle for a $3,000 WSOP Crazy-8's Package and a $1,050 Main Event Qualifier ticket. The action was folded around to "trojanmouse" in small blind, and he put Fabrizio "DrMiKee" Gonzalez to the ultimate test by moving all-in. The Uruguayan player made the call with , and were ahead the of "trojanmouse". The flop spelled devastation for Gonzalez as it came down , and though the did offer some outs for a full house, the river didn't change the outcome. "Trojanmouse" opened the pot with a raise to 1,200, Fabrizio "DrMiKee" Gonzalez made the call and "Mindcrushers" reraised to 4,187. Both players called. 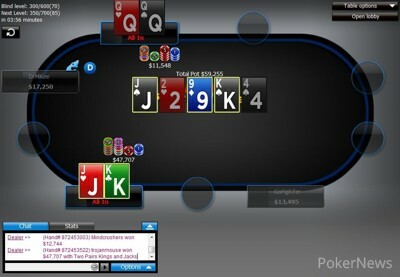 The flop came down and prompted a shove from "Mindcrushers". "Trojanmouse" made the call, and Gonzalez folded. The on the turn put "trojanmouse" ahead, and the river river changed nothing. "Mindcrushers" was left crippled while "trojanmouse" now holds the chiplead after three successful doubles. 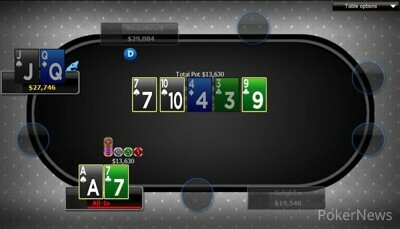 Stacks are as even as ever at this final table after "trojanmouse" found a lucky double with against the of "Mindcrushers". The on the turn secured the win for "trojanmouse", and all the remaining players are now above 30 big blinds. Fabrizio "DrMiKee" Gonzalez raised to 1,000 from first position and "trojanmouse" moved all-in for 6,570 in the big blind holding . Gonzalez called with but couldn't connect with the board, and "trojanmouse" raked in the crucial double.